How Can You Polish a Wood Cabinet That Is Looking Worn? Wooden cabinets are a big investment when designing a kitchen. Cabinet prices can cost tens of thousands of dollars. Therefore, it is important to maintain the beauty and finish luster of the cabinets to avoid having to replace them. 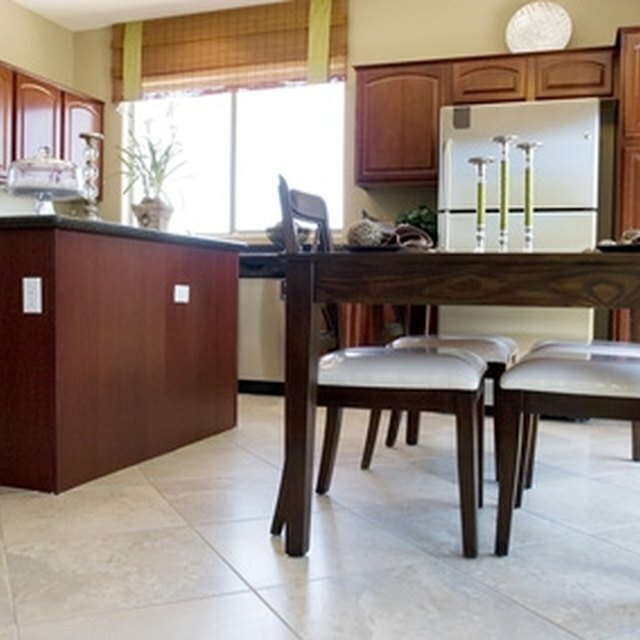 Kitchen cabinets take a beating in a typical household. Use a cream polish to keep kitchen cabinets looking their best. Wooden cabinets are a big investment when designing a kitchen. Cabinet prices can cost tens of thousands of dollars. Therefore, it is important to maintain the beauty and finish luster of the cabinets to avoid having to replace them. Kitchen cabinets take a beating in a typical household. Grease build-up from cooking, oil, fingerprints and food smears can actually degrade the quality of the cabinet finish. The cabinets will look dull and worn. In order to revitalize kitchen cabinets that are looking worn, it is vital to clean the surface first, then polish. Mix some dish soap with warm water in a large bowl. Clean away stubborn, grease-stained areas of the cabinet with the dish soap solution using a soft cleaning cloth. Wipe dry. Use an oil soap to clean the cabinet all over. Use a soft cleaning cloth and wipe lightly over the entire face and handle area of the cabinet. Buff dry using a terry cloth. Any grain of terry cloth can be used. Apply a high-quality cream furniture polish every three months with a lint-free cloth. Never use polish that is wax- or petroleum-based. Spray furniture polish can also be used. Polish in a circular motion until the cabinet has a shiny appearance. What Causes Discoloration of the Finish on Kitchen Cabinets? Can You Use White Baseboards with Hardwood Floors?